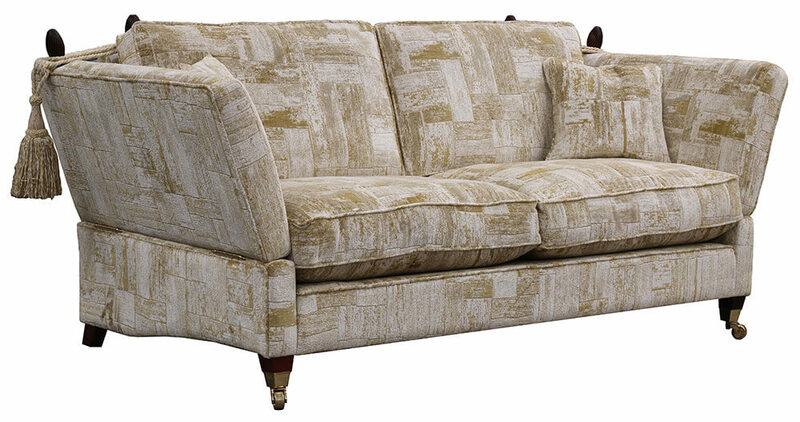 The knave Sofa has it’s roots in royalty , & the original dates back to the 17th century. It’s original use was as a throne on which a monarch would sit to receive visitors. There’s posh for you ! The Knave features adjustable side arms and it has exposed wooden finials at the rear corner tops .The arms, or more correctly sides, are of the same height as the back . 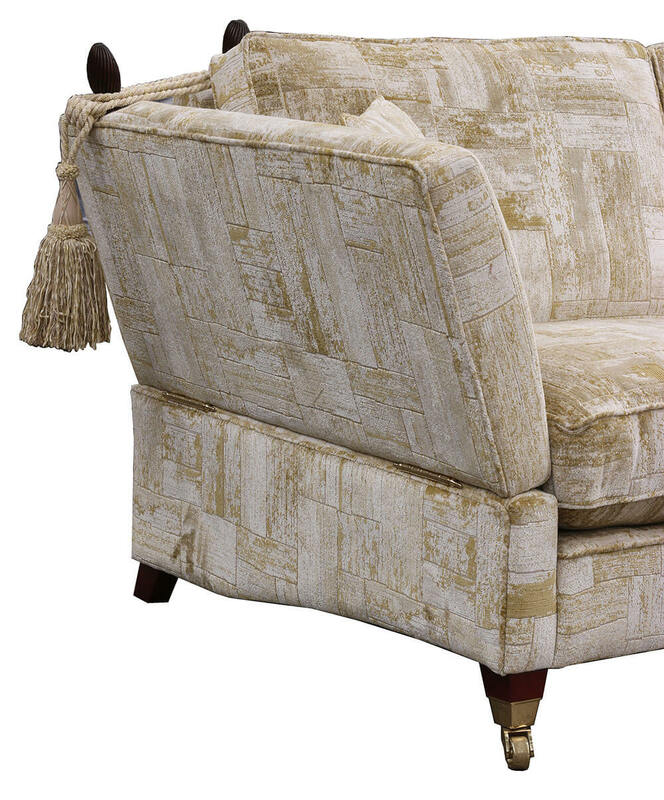 The arms are tied to the sofa back by means of an elegant cord, finished with a tassel. 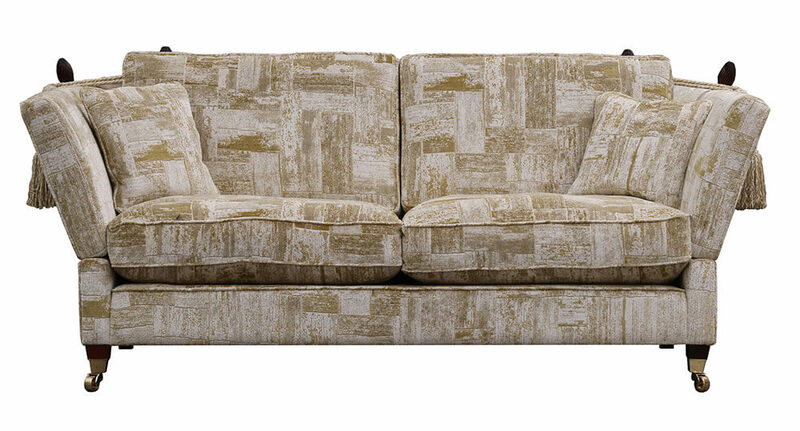 The Knave Collection comes as a Large Sofa & Small Sofa & an Armchair & with a matching footstool to finish the look. 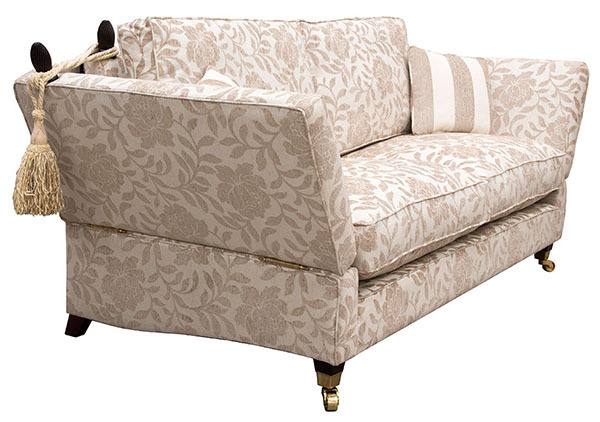 Many customers accompany the Knave with the King Chair, as their grandeur & opulence sit well together.